New at tree of Life? Because we are a diverse congregation, Tree of Life worship blends a number of styles and traditions to create a worship experience all it's own. Some people dress up; most folks dress down. We sing modern worship music, gospel, hymns and ancient Christian songs. Some of us clap, some raise our hands, some kneel and some just take it all in. Tree of Life is the kind of place where you can come as you are whoever you are. Each week at our worship gatherings we seek to glorify God by proclaiming who God is and submitting our lives to Christ's transforming presence through Worship, Word, Intercession, Confession and Sacrament. Our worship life offers a mix of pre-written liturgy and spontaneous times of prayer and intercession. We use pre-written liturgy to help all of us participate in worship and to helps us submit to the larger story of God's saving acts through Jesus Christ. However, as wonderful as liturgy is we also allow times of free prayer and praise because we believe the Holy Spirit wants not only to bring us up into the big picture of God, but also to come down into the details of our lives. Most weeks we gather into small circles and pray for one another. People can also get healing prayer or any other kind of prayer after every service. We have a staffed nursery for children ages 0-4. Parents are also welcome to keep young children with them throughout worship. Kids ages 5-11 participate in opening worship and then go to Kids' Club where they sing songs, learn about the Christian faith and receive prayer. Then they rejoin the worship service for Communion. 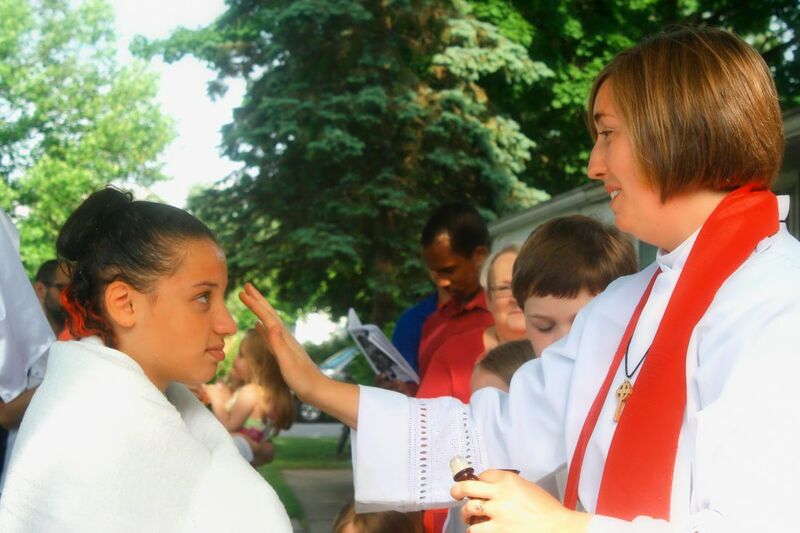 Baptized children of all ages are welcome to the communion table at Tree of Life with the permission of their parents.